Should Medical Marijuana Be Available Through Canadian Pharmacies? Canada Pharmacy Online > Blog > Should Medical Marijuana Be Available Through Canadian Pharmacies? You may have been hearing a lot of talk lately about marijuana in Canada. Whether medical or recreational, marijuana tends to spark controversy and lively discussions any time it enters the public conversation. However, in recent months, the cannabis industry has been making more headlines than ever. Why marijuana? And why now? In this article, we’ll review what’s going on in the world of marijuana and take a look at how these recent developments may affect the Canadian pharmacy industry. The short version is that cannabis is making news as of late because it is set to become legal for recreational use in Canada in July 2018. After that, more and more countries are expected to follow suit. In fact, within a few years, experts predict that the global cannabis industry will rise to $30 billion or more. In Canada alone, the market for recreational cannabis could grow as large as $8 billion. Please note: this article does not endorse or encourage marijuana use. It’s important to note that pregnant mothers and children exposed to marijuana can face birth defects, behavior problems, depression, ADHD, delayed development, learning disabilities, and more. However, if you’re curious about what’s happening in the world of marijuana in Canada, read on. What’s with the sudden changes in Canada? Why is this happening now? Most likely, the recent developments are partially due to the fact that Prime Minister Justin Trudeau is more liberally minded than previous prime ministers. Making the legalization of marijuana a major part of his election platform has served to create change in the approach to cannabis in Canada. To illustrate this point, let’s look at recent legislative moves regarding marijuana. In Canada, the proposed Cannabis Act passed in the lower house of the Canadian Parliament last November. Now, the Cannabis Act is with the Senate and under review. A third reading of the Cannabis Act in the Senate is scheduled for June 2018. 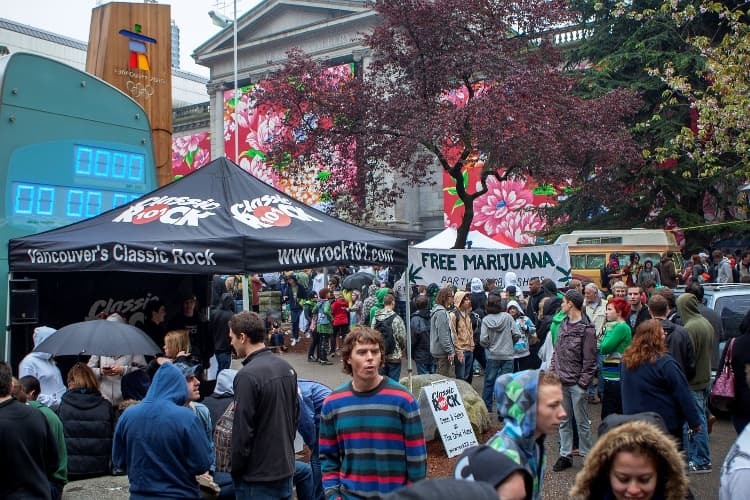 Thus, according to most people, the legalization of recreational marijuana use in Canada is just around the corner. Since marijuana is also used for medical purposes in the modern age, this situation begs a few questions. What’s Next for Marijuana? What Will Legalization Look Like? There is considerable uncertainty when it comes to what happens next, once marijuana becomes legal in all its forms. If and when recreational marijuana becomes legal, should a separate medical marijuana system be put in place? Should recreational and medical marijuana be regulated differently? Who will be in charge of diagnosing themselves with a need for medical marijuana, when recreational marijuana is available at their fingertips as well? And, if cannabis is legal all around, should people need to go to a separate source to use it medically than they do to use it recreationally? All of these are logical and thought provoking questions to ponder. The country will have to make important decisions about Canada’s future and the cannabis world as new laws are put in place. Of course, with any sweeping change, there comes a divide between opinions and perspectives on the matter. Some argue that, like any medicinal treatment or prescription, medical cannabis needs to be under the supervision of the medical system. Others argue that it doesn’t make sense to separate medical and recreational marijuana: no matter what purpose they’re using it for, people are going to secure their marijuana wherever they choose to. Still others argue that those who take cannabis due to medical necessity may not want to go to a dispensary or something of the sort to acquire their medication. A cancer or epilepsy patient who sees cannabis as a medicinal saving grace may not want to encounter the “pot culture” that surrounds recreational marijuana. They may prefer heading to a sterile, serious pharmacy in lieu of popping in to a dispensary whenever they need their prescription filled. Both sides bring up great points and make for interesting questions to answer. All of the controversy around marijuana’s new role in society certainly makes for worthwhile discussion. Only time will tell how the situation will pan out. As the new law is put in place and the culture around cannabis changes, public opinion will likely evolve along with it. As with most things, there will be some who vehemently oppose cannabis no matter what and some who believe in and support its power to heal. Regardless of what the new regulations allow, at the end of the day, it comes down to the consumer to decide what they want and what is best for them. People will need to educate themselves concerning any risks and regulations they need to know before consuming cannabis. Doing your own research is an important part of being a responsible, thriving adult. However, even the medical community is not united in their perspective on cannabis. Perhaps this is due to the fact that marijuana has been outlawed for so long. It’s no secret that the scientific community needs to conduct more research before any definitive claims can be made. As time goes on, one certain upside to legalizing marijuana is that we are likely to see a proliferation of research emerge on the subject. These will help to answer the public’s questions about marijuana one way or the other. Marijuana and Pharmacies: Why Isn’t It Sold There? Will It Ever Be? Another curious development will be marijuana’s relationship with the existing world of traditional medicine. If medical marijuana is considered an approved drug or legitimate treatment route now -- just like other prescription medications -- why isn’t it sold in pharmacies? Why do medical marijuana patients have to go to a dispensary to secure their professionally prescribed dosages? Many people find this strange and feel that it contributes to the enduring stigma against the use of marijuana. However, the explanation makes sense. The primary reason is that even though it has been approved for medicinal use, marijuana is still illegal on a federal level, at least in the United States of America. Even if an individual statement permits the use and sale of marijuana -- whether recreational or medical -- the federal government still sees it as against the law. Because of this (and with medicines in pharmacies crossing state lines and the like), marijuana cannot yet be found in pharmacies across the country. In addition, most insurance companies do not cover the use of marijuana. Therefore, stocking it in a pharmacy wouldn’t really do the patient much good. However, many pharmacies would like to participate and get their share of the world’s changing approach to cannabis. Many stores are eagerly anticipating marijuana’s growing legality so that they can sell it in their own stores and benefit from the trendiness of this medicine. Many believe that pharmacies should be involved so that they can work to keep the use of medical cannabis safe and well informed. After all, pharmacists are trained experts on drugs. They are well read on potential interactions and understand the needs of patients when it comes to pursuing treatment for a wide variety of diseases and conditions. With legitimate pharmacies and knowledgeable pharmacists in place to assist patients, the transition to a more liberal acceptance of marijuana can progress more smoothly and safely. Even marijuana advocates fear that if recreational marijuana retailers are the only place that patients come into contact with their choice of medicine, there is less ability to control the experience and ensure it is a positive one. Those who work at dispensaries do not have the same training or expertise that a pharmacist does. They may not be able to provide strain recommendations with enough background knowledge to defend their advice in a scientifically sound way. And, in many cases, recreational and medicinal marijuana users have differing needs and expectations. That’s why separating the two may be a good idea, even if some believe it is not necessary. In addition, the point of distribution -- in pharmacies or in dispensaries -- is likely to contribute to the overall outlook on marijuana in Canada. Still, we shouldn’t worry. It’s likely that the consumer will make their preferences clear and the market’s demand will help to determine the proper approach to all of the questions we now face. Will the near future see pharmacists making recommendations for specific strains of cannabis depending on a patient’s needs? Will Marijuana 101 soon become required reading in pharmacy school? How will marijuana affect existing drug stores? What part has it played already? It seems that there are pros and cons to marijuana’s emergence into the market of the modern world. For example, some pros might come with the situation mentioned above. If medical marijuana starts to be sold in pharmacies, there is a whole new cash cow waiting for pharmacies to take advantage of. Stocking medical marijuana and providing patients easy, approachable access to this medicine gives them a comfortable place to open their eyes to a new route of treatment. Health Canada, the regulatory body in charge of overseeing Canada’s current medical marijuana industry, has stated that it is open to the idea of distributing cannabis to patients through pharmacies. Many patients will likely continue turning to their local drug store to pick up their marijuana prescription if it is available to them there. This continues the monetary security of drug stores around the nation and even provides a welcome boost. On the other hand, if medical marijuana emerges as a legitimate alternative to a host of existing drugs and prescriptions, pharmacies may suffer. For example, if medical marijuana gives patients the freedom to cease other prescriptions -- and if they can only get this medicine from a dispensary since it is not available in pharmacies -- these existing pharmacies are likely to lose a lot of business to cannabis. In this case, the legalization of marijuana may be bad news for pharmacies everywhere. Still, much will depend on how the public receives the legalization of marijuana and where this new treatment route will be sold. What are the Benefits of Ordering from an Online Pharmacy? Regardless of what’s to come, one thing is not vulnerable to change: people will continue to need prescriptions and medicines that pharmacies now offer. And with the convenience and accessibility of online pharmacies, more patients than ever are choosing to order their prescriptions online and skip a trip to the local drug store. But how can you be sure that you’ve found a reliable and safe Canadian pharmacy from which to order all of your medicinal needs? This is a great question and one you should answer before ever placing your first order. First, you should ensure that the pharmacy is accredited and only sells quality medications from trusted sources. For example, Canada Pharmacy Online is an approved Canadian pharmacy--we have been providing our customers with quality products and excellent prices since 2006. In addition, the pharmacy you patronize should be a CIPA member and a Certified Canadian International Pharmacy (like we are!). Approval from Pharmacy Checker is also a good sign. As for us, we are proud to participate in a program that requires members to adhere to exceptional quality standards and all regulatory requirements in the country of the dispensing pharmacy. We only use dispensaries or affiliate pharmacies that have also been CIPA inspected. To learn more, we invite you to visit our About Us page. Best of all, the ordering process with CanadaPharmacyOnline is specifically tailored for ease of use, so you shouldn’t run into any issues. How will the emergence of medicinal marijuana affect the future of the Canadian pharmacy industry? What will the pharmacies of tomorrow look like if marijuana becomes totally legal all around? No one can predict the future, but one thing is certain: medical marijuana is likely to affect the pharmaceutical industry in one way or the other. Establishing a healthy relationship between the two as marijuana becomes recreationally legal as well will depend on the consumer and the need for medical regulation as separate from recreational availability. Will patients choose to get their cannabis dose from a pharmacy or medical establishment if they are free to purchase from any dispensary they please? Should there be a difference at all between recreational and medical marijuana? Will patients come to expect or desire one? We are eager to discuss this news and would be happy to discuss any questions or comments you may have. What’s your take on the legalization of marijuana? What do you see as the future relationship between marijuana and the pharmacy industry? We welcome your thoughts and are open to a conversation about these recent developments. Please reach out in the comments below.